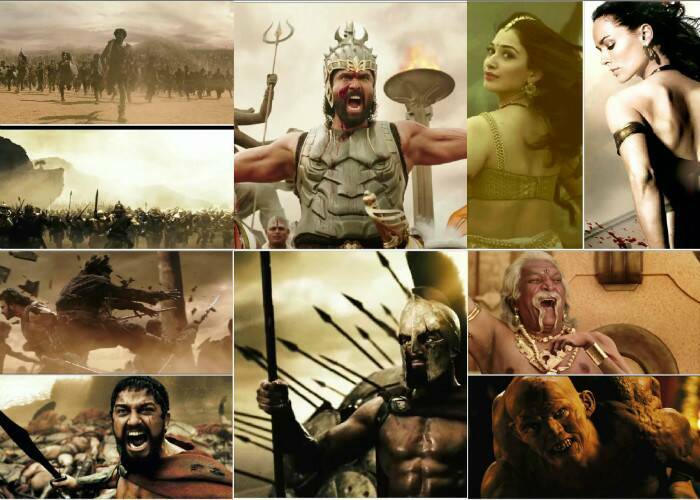 ‘Baahubali’ an Indian version of Hollywood film ‘300’? SS Rajamouli's ‘Baahubali’ is said to be India’s most expensive film ever. 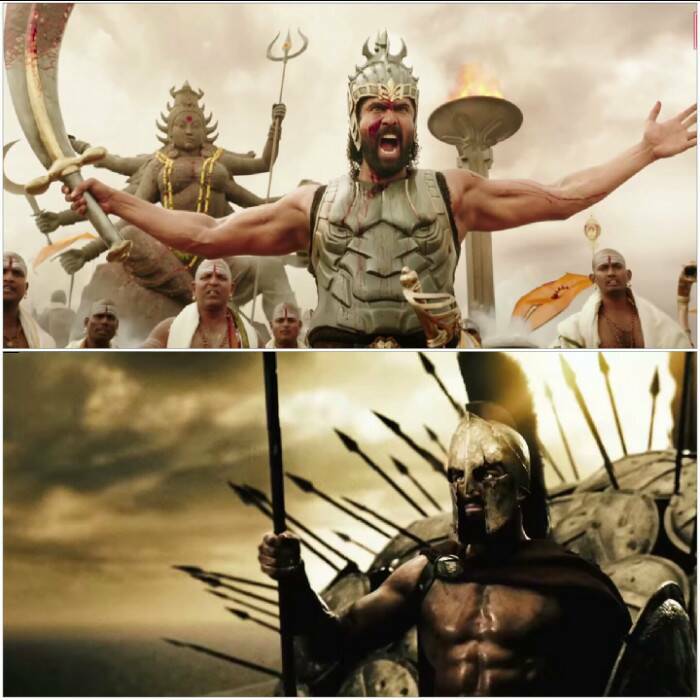 One can’t help but notice that many of the scenes were similar to Hollywood’s ‘300’. SS Rajamouli's forthcoming film ‘Baahubali’ is said to be India’s most expensive film ever. The trailer, which released a few weeks ago, definitely piqued our interest, however, one can’t help but notice that many of the scenes were similar to Hollywood’s ‘300’. Action: Just like '300', 'Bahubaali' features some high flying action with the film’s heroes Prabhas and Rana Daggubati performing sword sequences as well as riding horses and chariots. 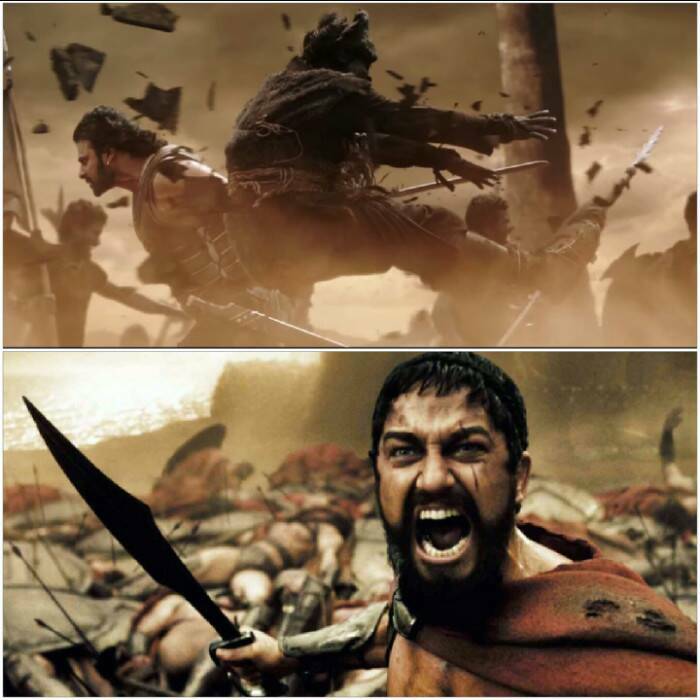 The battle scenes of blood and gore are also a stark reminder of ‘300’. 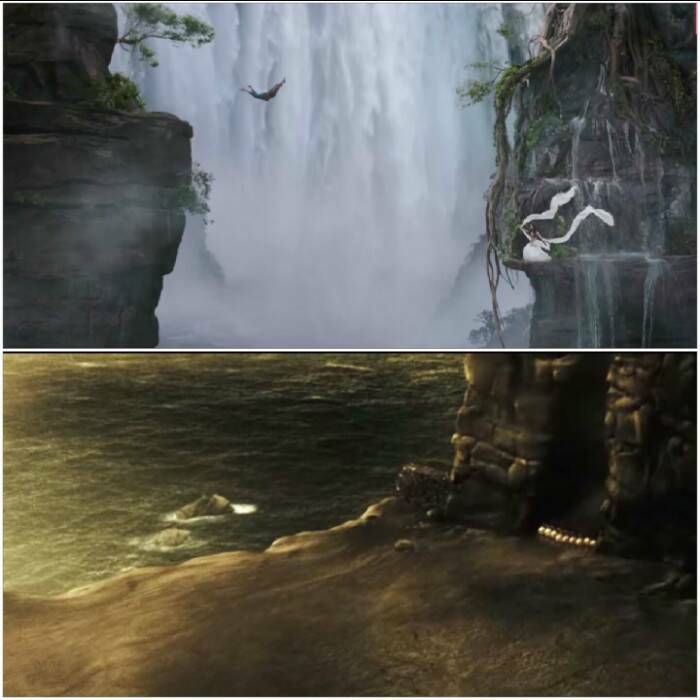 Visual treat: Whatever glimpses we have got of ‘Baahubali’ have been an absolute cinematic visual treat, whether be it Prabhas leaping off mountains or the beautiful misty waterfall in the background, we simply cannot wait to see more. SS Rajamouli has spent years in finalizing the VFX and craft it to perfection. 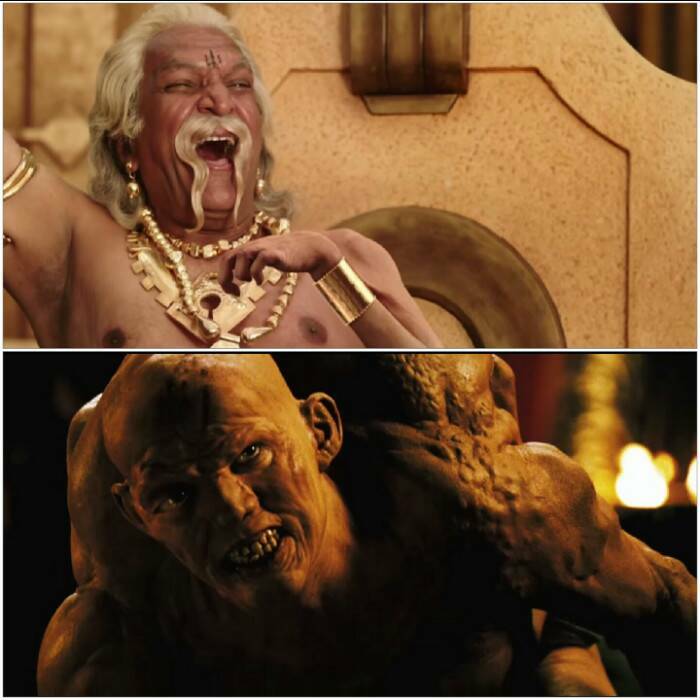 Wicked handicapped villain: The character of ‘Bijjaladeva’, played by Naseer strongly reminds us of Ephialtes of Trachis from ‘300’. 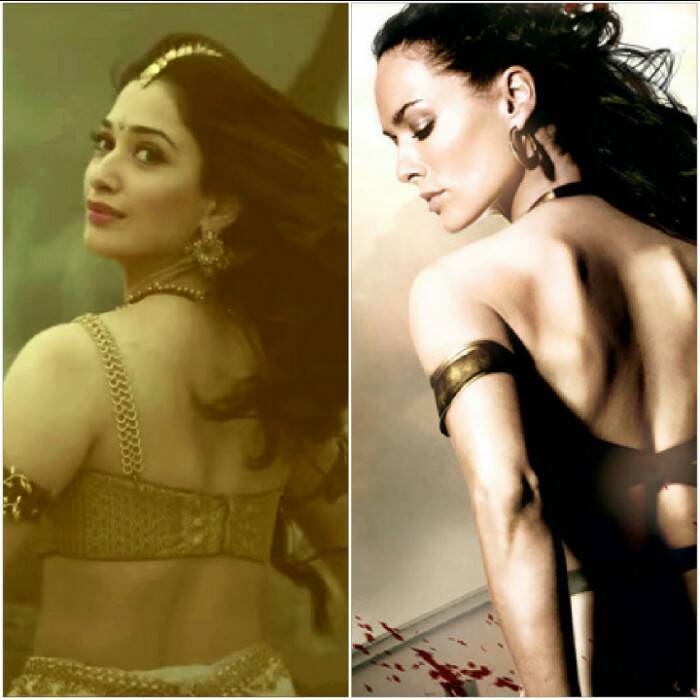 Warrior princesses: Among the scores of muscled men, actresses Tamannaah Bhatia and Anushka Shetty look stunning providing just the right amount of onscreen beauty and glamour in their royal avatars. 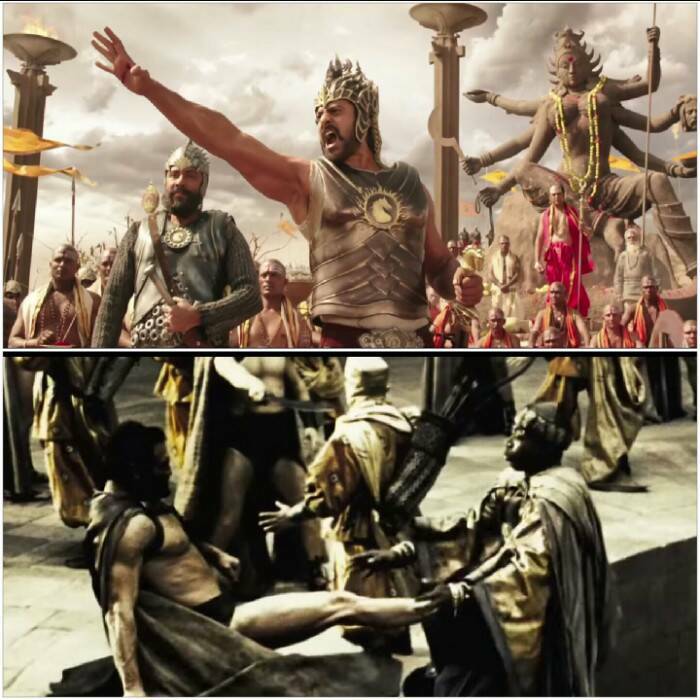 Patriotic sentiments: While ‘300’ revolved around an army of men fighting bravely for their motherland, ‘Baahubali’ displays similar sentiments as brothers Prabhas and Rana fight it out to protect their kingdom. Big Muscled men: Prabhas and Rana Daggubati have undergone serious training to build their bodies for the roles of warriors in the film.